As we enter the fourth quarter of 2017, we’ll begin seeing a number of new financial reports published for various smartphone OEMs around the world. Companies like LG, Sony and HTC have proved that it is tough to make a profit in the smartphone market and that hasn’t changed for LG. The company just released their financial report data for the third quarter of this year and the mobile division itself posted a loss of KRW 375.3 billion (which is about $331.37 million). This is definitely one of the worst quarters the company’s mobile division has had in the last year. Using data straight from the company, we can see Q3 of 2017 was the third worst quarter the mobile division has had in recent years. 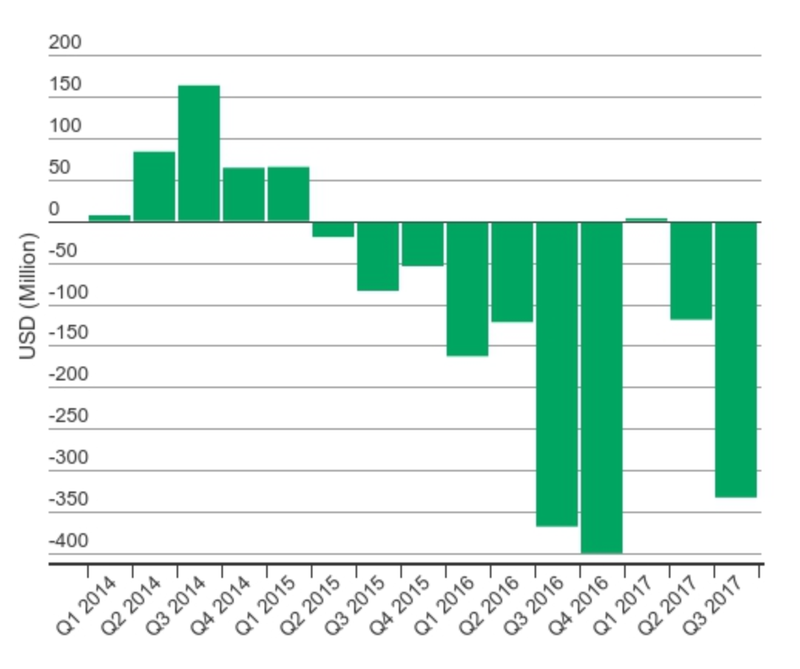 The only two quarters that come close is Q3 and Q4 of last year when their mobile division lost even more than what they did in Q3 of this year. Sadly, since the second quarter of 2015, LG’s mobile division has only been able to bring in a profit for one quarter. That was Q1 of this year when they posted $3.2 million in profit for those three months. This was the quarter they had launched the LG G6 but the sales were likely due to the LG V20 that the company had launched the previous quarter. Still, even though their mobile division lost $331.37 million this past quarter, it’s actually a 13% increase when compared to the same quarter last year. Even with this massive loss though, they were able to ship 13.7 million units within the division and this is only a slight decrease YoY. A few months ago the company announced the G6 wasn’t selling as well as expected so this information was to be expected. Especially considering the fact that they were investing in the launch of their new LG V30 which is slated to be released globally soon. So it’s possible that LG will be able to pull in a profit next quarter if the LG V30 performs well, but it certainly has a lot of competition to deal with.